Hand hygiene or otherwise called hand washing is the process of cleaning hands with soap and water or hand sanitizer to remove dirt, soil, microorganisms, and other impurities. Dirty hands are the main mode of transportation of many contagious diseases, so it is essential to maintain good hand hygiene to prevent the spread of such diseases. Washing your hands properly can even prevent the spread of bacteria that are resistant to antibiotics. What are the Indications for Hand Hygiene? I have a white patch on inside part of foreskin. How to get it removed? Why has my buttocks turned black after itching? How can my wife avoid passing on her eye infection to our child? After reaching home from outside. While inserting or removing contact lenses. After coughing or sneezing or blowing your nose. 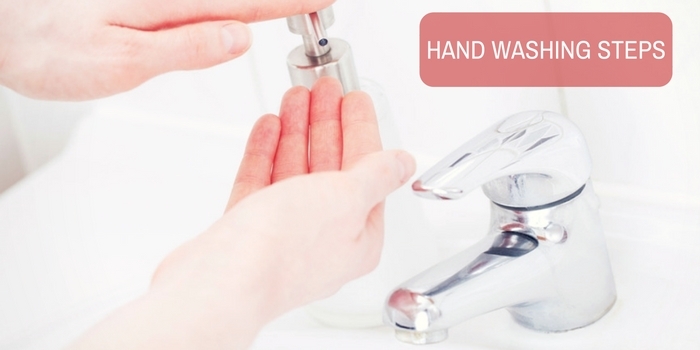 What are the Different Hand Hygiene Methods? Routine and Antiseptic Handwash - In this method, normal soap or antimicrobial agents like chlorhexidine, iodine, iodophors, chloroxylenol, and triclosan are used. Antiseptic Handrub - These are alcohol-based handwashes that can be used without water. Surgical Antisepsis - In this method, water and antimicrobial agents like chlorhexidine or water and non-antimicrobial agent followed by an alcohol-based surgical hand-scrub are used. What are the Hand Washing Steps? Take enough soap to cover all the surfaces of the hand. Place your right palm over the dorsum of your left palm with the fingers interlaced and rub them. Do the same with the left palm over the dorsum of the right palm. Rub the back of your fingers to the opposite palm while keeping your fingers interlaced. Clasp the opposite thumb with the other hand and rub in a rotational direction. Rinse off your hands under water. How to Use Antiseptic Handrub? Take a palmful of the product while keeping your hand cupped, and spread the product to cover all the surfaces. Wait till your hands are dry. Before and after touching a patient. Before and after a surgical procedure. After exposure to any body fluids. The process of cleaning and scrubbing the hands and forearm before surgery is called surgical hand scrubbing. It reduces the incidence of operative wound infections. This takes about 2 to 6 minutes. Remove rings, watches, bracelets, and bangles. Debris from under the fingernails should be removed using a nail cleaner under running water. The hands and forearm are then wet under running water. Then the hands and forearm are scrubbed using a scrubber and antimicrobial agent. Dry your hands using a sterile towel. After this, sterile gloves and gowns are worn. It is recommended to wash your hands frequently with soap and water. You need to rub your hands together with the foam for at least 20 seconds. Encourage your kids to wash their hands frequently and properly. To keep them interested, you can tell them to scrub and wash their hands until they sing the “Happy Birthday” song twice. In situations where you cannot find a sink or running water, keep alcohol-based sanitizers handy. Hand sanitizers might not help if your hands are visibly soiled, but it can be used as a temporary solution. Washing your hands frequently protects you from many contagious infections, so wash your hands and stay healthy! Do you have a question on Healthy Hygiene or Using Alcoholic Sanitizer? Do I have parasites in my feces? Kindly suggest some medicine to get rid of ringworm infection. Why does my 10 months old son get loose motions frequently?